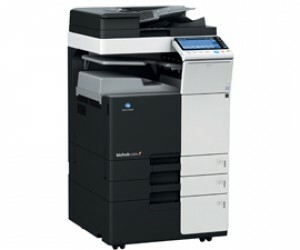 Konica Minolta South Africa, a division of Bidvest Office (Pty) Ltd, presents the new bizhub 758 monochrome multifunctional device - successor to the bizhub 754e – a machine created to meet high-volume demands while remaining reliable, versatile, eco-friendly and efficient. 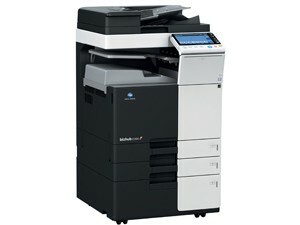 The bizhub 758 has a great deal to offer. The recently developed high capacity dual- scan document feeder simplifies large volume scanning and increases productivity, while the advanced sensing technology reduces feeding errors and paper jams. Thanks to a paper size measurement function, there is no need to spend time checking paper size manually, thus ensuring an easy and less error-prone operation. A wide range of high-level finishing options facilitates various types of outputs being produced in-house and on demand. The bizhub 758 is capable of creating booklets up to 80 pages for small marketing or training publications, folding letters in several ways, stapling hand-outs and hole punching invoices, which ultimately saves the time and working power of the operator. In order to make the operation as convenient as possible, the MFP panel and printer driver interface can be customised to the user’s needs. Through the integration of the mobile touch area with the operation panel, users benefit from the very latest developments, such as authentication via NFC technology. Integrated state-of-the-art technology leads to the lowest TEC value in its class, making the bizhub 758 a sustainable, energy-saving product combining economical printing with environmental awareness.